Among many things I wanted to checkout that I missed over the last 6 months were Ferali's xvehicles, which turned to be a tad trickier than I thought as there's no mutator. You either have to edit them onto maps or build your own; I went with the former over the latter. Initially I was a bit confused how to drive them, as I usually play with a full HUD and the directions for driving are in the upper-right corner of the screen. MonsterHunt seemed ideal to test on, I edited up 3 maps with various vehicles... but only 3 as not many MH maps had room for tanks. 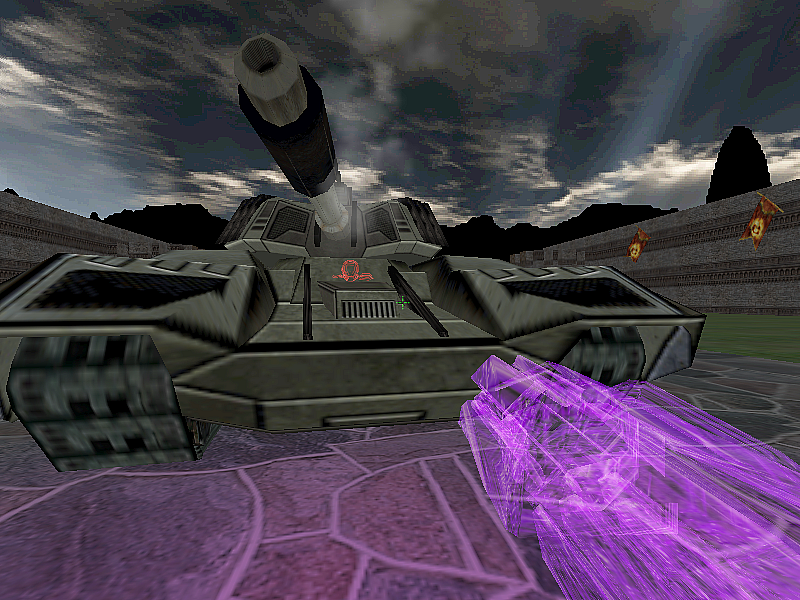 Most of the tanks have 2 sets of guns, the main cannon and an alternate smaller weapon. The ability to switch seats didn't work out well for me to use the smaller guns, but fortunately bots were willing to hop in and handle that. Not all the tanks have a secondary gun. Jeeps have guns that can only be used by a passenger, only weapon the driver has is honking the horn. 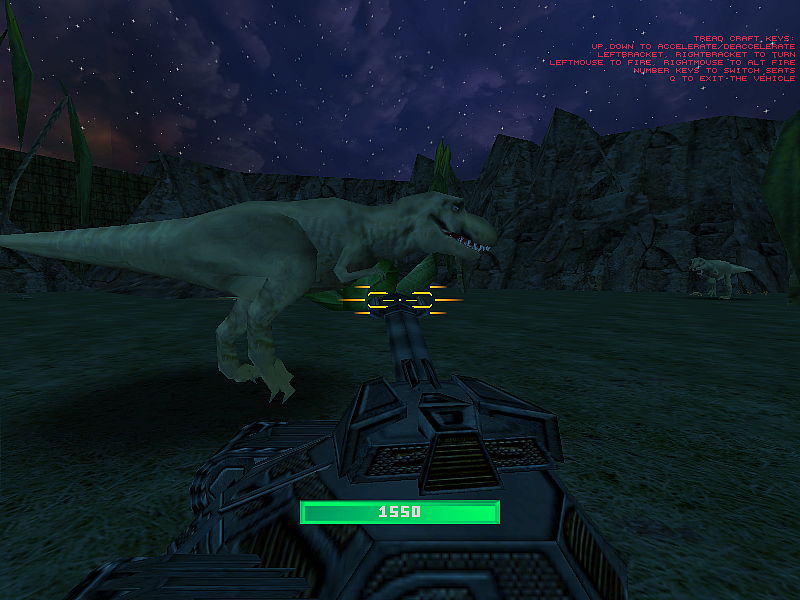 MH-Xvehicles-LostInTime: The dinos from Jurassic.u completely ignore players in the xvehicles. Even after you shoot them they act as though they can't see you, unless you hop out in which case they'll try and eat you immediately... but if you hop back in they can't see you again. I may do some edits of CTF, if I've got maps that are big enough for tanks. Kinda curious to see if I can take an enemy flag and drive it back to my own base. Could you release these maps you've edited indeed? It would be awesome to test this with a few MH types. Okay, so can't use the vehicles effectively in CTF. - If you can drive to the flag, can't pick it up from within a vehicle. - If you grab the flag and then try to get into a vehicle, it drops from your grasp as soon as you get in. iSenSe wrote: Could you release these maps you've edited indeed? I just want to point out that the entirety of the AI code is still from Dots ( .:.. : ), and I never touched it, so I don't really know how good it is myself, but it's at least good enough to have some fun. As some of you may know, the base code for these vehicles is from the UVehicles mod from Dots himself, where he even set up some Unreal 2 vehicles to work in Unreal and UT99. From there, all I did was to dramatically improve the physics (the terrain ones), throw in some features and build my own vehicles, but my part of the code, quality-wise, is pretty messy and the physics have all sorts of bugs since I didn't do it correctly either. Also, a small reminder that these do not really work online (my fault, I believe they did originally from Dots code). Feralidragon wrote: Unreal 2 vehicles to work in Unreal and UT99. Think you meant UT2004, not Unreal2. Those would be the Onslaught vehicles... which I may have somewhere or other. EvilGrins wrote: Think you meant UT2004, not Unreal2. 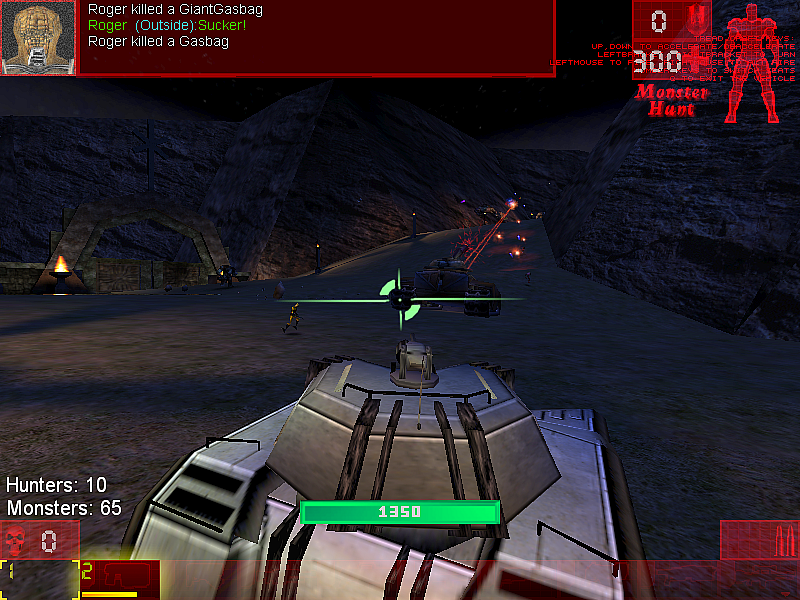 No, it is Unreal2 - the vehicles are in the file UnrealVehicles2.u. I really love the tanks. Xvehicles are so cool!! Except how do you get out of the tank?? Loose Cannon wrote: how do you get out of the tank?? More precisely, whichever key you have assigned to "Toss weapon". ahhh Got it! Perfect, thanks!! VulpineMisson's forum I visit frequently, but similar to a few others unless you're a member you can't really see posts there and apparently they've changed things so non-members can see their posts.. Apparently there's been some interest (2nd link) to see if they can get Tanks vs RX-fighters there.